A travellers’ haven on the beautiful sunset coast of Koh Phangan. Haad Chao Pao Beach retains the image of a picturesque tropical beach by maintaining the palm tree line back drop, a wide white sand beach, impressive rock boulders on both ends of the bay, and a coral reef to explore within 100 metres of the shore line. 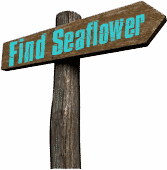 Seaflower offers a wide selection of accommodation, from the rustic wooden hut to the traditional Thai architectural- style bungalow with modern amenities to meet all budget needs.